Unrelated note: I changed the way the site displays comments, to start from the oldest. It feels more natural this way, atleast to me. So a while ago, I was at the point where getting further with melonDS required emulating the 3D engine. As tempting as it is to hack things together to get some graphics showing up, I decided I'd take the time to do things right. Plus, GBAtek documents the 3D engine well, so let's make good use of it. This also means that the renderer I'm building is a software one. This doesn't exclude the possibility of implementing hardware rendering for 3D or even 2D later on, but starting this way is more interesting than mapping the DS 3D features to OpenGL. I'm able to learn about deeper aspects of the 3D engine, and emulate it more closely than a hardware renderer can get. There are also features and details of the original hardware that can't be reproduced well with OpenGL, as is typical with older console GPUs, and it isn't always super-specific details, it can also be about basic features. The left one shows color interpolation across the original quad.  The right one shows color interpolation after the quad was broken down into triangles. You can notice the difference. At this point, melonDS's renderer is able to draw polygons without exploding, which is a good start. 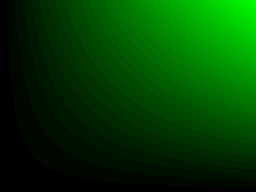 It can do color interpolation, but it lacks perspective correction for now. It also lacks more important features, like texturing. A First release!? This is amazing progress! Your in-depth posts are quite interesting to read. Looking forward to the first release of a new emulator with great potential!